Baptism record daughter Bridget Kennedy, baptised 29 October 1846, Residence O'Callaghan's Mills"
Daniel Kennedy, along with Wife Judy Kennedy and Daughter Bridget Kennedy aged 8 and daughter Hannah aged 2 departed Plymouth England aboard the Rajasthan. Hanna died on the voyage and the family arrived in Sydney 11 January 1855 and remained in quarantine until 25th January 1855. Daniel and Judy (Johanna) Kennedy with children Bridget aged 8 and Hanna aged 2 left Plymouth, England, 24 September 1854,aboard the Rajasthan arriving in Sydney on 11th January 1855. Hanna died during the voyage. The ship and passengers remained in quarantine until 25th January 1855. Johanna Kennedy died 1908, Parramatta, New South Wales, Australia. Father Patrick, Mother Bridget. Registration Y3ear 1908, Registration Number 2830. Johanna Kennedy (n. O'Connor) died 17 March 1908 at 689 Tottenham Street, Granville, New South Wales, Australia. Cause of death Senile Decay. The Funeral of Johanna Kennedy left the residence of her daughter Mrs Sargent, Tottenham Street Parramatta at 9 am Wednesday 18 March 1908. Johanna Kennedy funeral moved off from the residence of her daughter Mrs Sargent, Tottenham Street, Parramatta at 9 am, Wednesday 18 mar 1908. The funeral notice was published in The Sydney Morning Herald, Wednesday 18 mar 1908, Page 16. Johanna Kennedy died 17 Mar 1908, Parramatta, New South Wales and was buried at Rookwood Catholic Cemetery on 18 Mar 1908. Her grave is located in Section Grave Mortuary 1, Area GG, Grave 76 and she is buried alongside her husband Daniel. Daniel Kennedy and Johanna (Judy) O'Connor were Married at St Patrick's Church, O'Callaghan's Mills, County Clare, Ireland 5 February 1846. [S139] Rookwood Catholic Cemetery (Reliability: 3), 18 Mar 1908. Johanna Kennedy died 17 Mar 1908 aged 87 years. [S367] New South Wales, Assisted Immigrant Passenger Lists 1828-1896, (Ancestry, Australia), 2 and 3 (Reliability: 3), 11 Jan 1855. Native Place and County - Killimer, Clare. - See attached passenger listing for the Rajasthan. [S4] NSW BDM, New South Wales Government, Death Registration Number 2830/1908 (Reliability: 3), 17 Mar 1908. [S369] National Library of Ireland, Michrofilm 02476/08 - Page 50 (Reliability: 3), 29 Oct 1846. Baptism Record, Bridget Kennedy, 29 Oct 1846, Residence O'Callaghan's Mills. 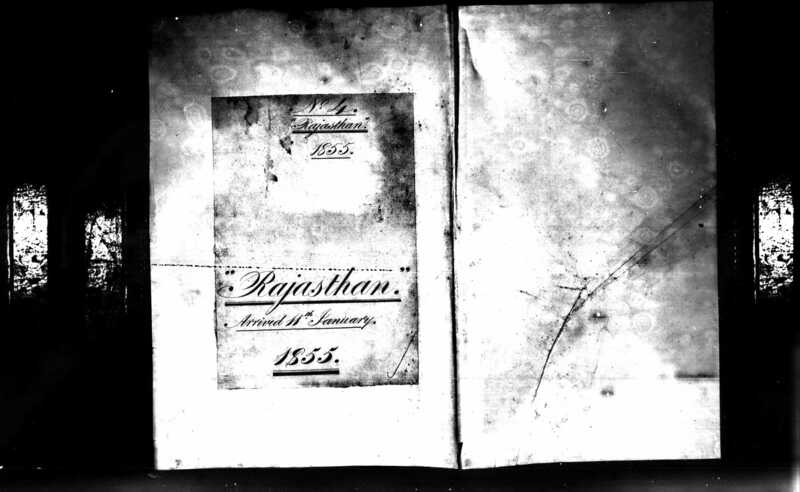 See attached passenger list of the Rajasthan. [S4] NSW BDM, New South Wales Government, Reg No. 2830/1908 (Reliability: 3), 17 Mar 1908. See attached burial registration for Johanna Kennedy. See attached Burial Registration , NSW Births, Deaths and Marriages, Registration Year 1908, Registration Number 2830. [S4] NSW BDM, New South Wales Government, Registration No. 2830/1908 (Reliability: 3), 18 Mar 1908. See attached Death Certificate 2830/1908. [S94] The Sydney Morning Herald, 16 (Reliability: 3), 18 Mar 1908. See attached Funeral Notice, published in The Sydney Morning Herald Newspaper, Wednesday 18 March 1908, page 16. [S4] NSW BDM, New South Wales Government, Reagistration No. 2830/1908 (Reliability: 3), 18 Mar 1908. [S155] Catholic Cemeteries & Crematoria (Reliability: 3), 18 Mar 1908. [S369] National Library of Ireland, Page 20 Microfilm 02476/09 (Reliability: 3), 5 Feb 1846. National Library of Ireland, Catholic Parish Registers, O'Callaghan's Mills, Microfilm 02476/09 Page 20, Jan 1846 to May 1846.